Hello beautiful people! Wow, it feels good to be writing on here again :) This must be the longest I've gone without writing a blog post in over a year and a half, certainly the quietest month I've had. In the 2 months leading up to Christmas, I literally didn't get so much as 1 evening to myself, and as a result I struggled to find the time to blog, and when I did, it wasn't exactly my best work. The time I've spent away from blogging has been lovely (spent Christmas in Ireland with my family) and much needed and in that time I've made some decisions. 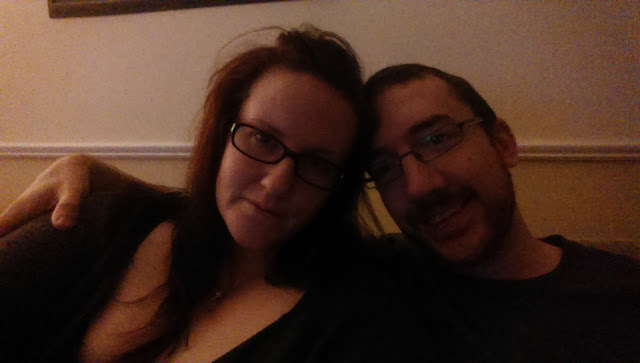 For the last 18 months or so, I've blogged pretty much every day. That itself takes about 30 hours a week on top of my 40 hr a week job. So, I've decided to cut back a little and at least try not blogging every day. Instead, I'm setting myself a schedule of blogging every Monday, Wednesday and Friday and uploading new videos to YouTube every Tuesday and Saturday. There may be other posts that crop up that I want to share with you on the other days which I will, but the base posts will be on those days. I'd just like to get a bit more balance in my life, more time to spend with my hubby, more time for fun things like gaming (xbox, PC and board) and more time to devote to my YouTube channel which has also suffered in recent months. I hope you've all had a fantastic Christmas, thank you for your support over the past year. What new years resolutions are you making this year? Jess is a wonderfully talented individual. Not only is she a great blogger, but she's also a very talented designer. 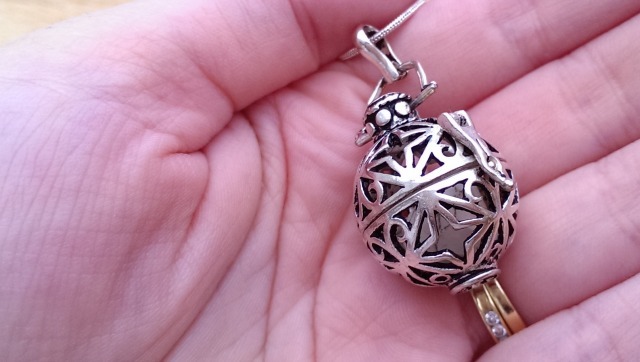 Seen Tattooed Tea Lady's blog recently? 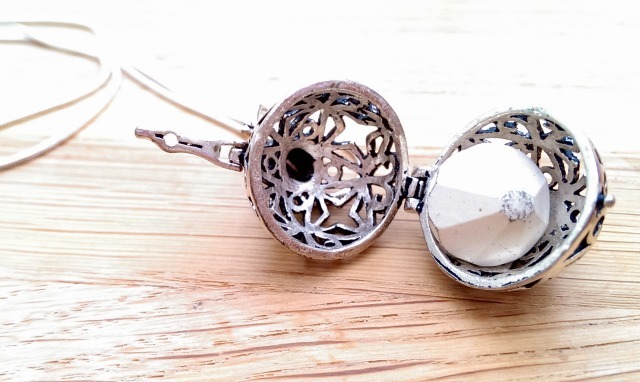 Well if you haven't you should, Jess redesigned it a little while ago and it looks fab! 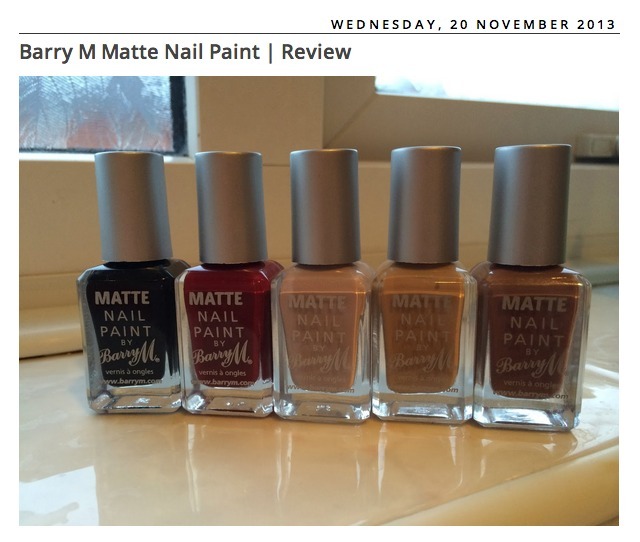 In this post Jess takes some lovely photo's showing the BarryM matte nail polishes, personally, I'm not a big fan of matte polishes, but these look lovely!!!! 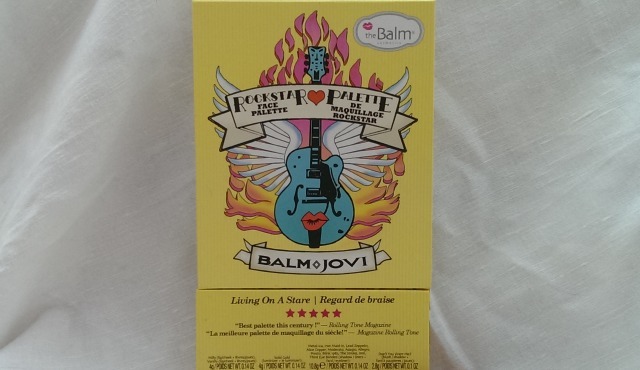 Behold, the Balm Jovi palette by theBalm!!! 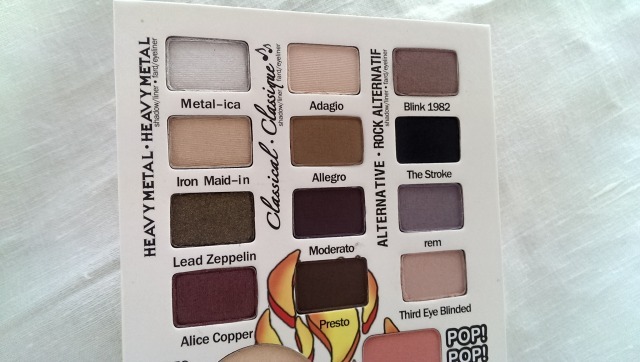 This little beauty I've been eyeballing for months now, not only because I'm a rocker myself and loved the names of the eyeshadows, but also because the packaging looked amazing, and the colour combinations looked brilliant too. 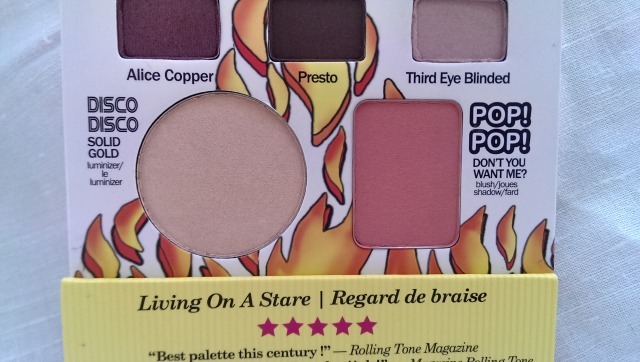 I'm not really sure where to start with this review, so I'll work backwards and start with the blusher. This is the most beautiful blusher I've ever worn. I've had the palette for about... 6-8 weeks now and I've literally worn this shade every single day. It's a beautiful dusky coral peachy pink, highly pigmented. 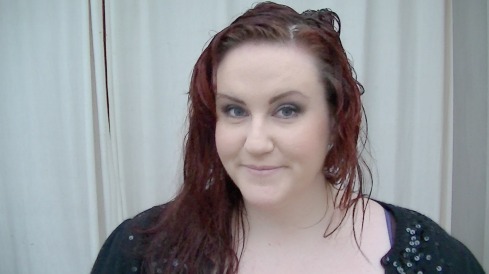 Just 3 dabs of my blusher brush in the product and that's enough for one cheek. It stays in place all day and looks super pretty. The eye shadows. What a beautiful combination - purples, neutrals, gold, silver, burgundy and mattes. 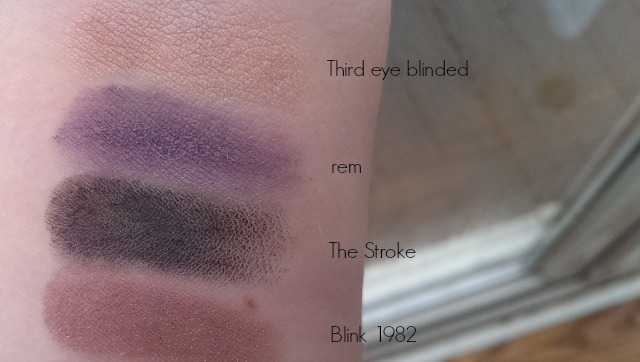 All highly pigmented (I know 'The Stroke' doesn't look it in the swatch, but when I was swatching it the surface went a little shiny, so the swatch didn't come out right), soft and quite buttery, not dissimilar to Urban Decay. 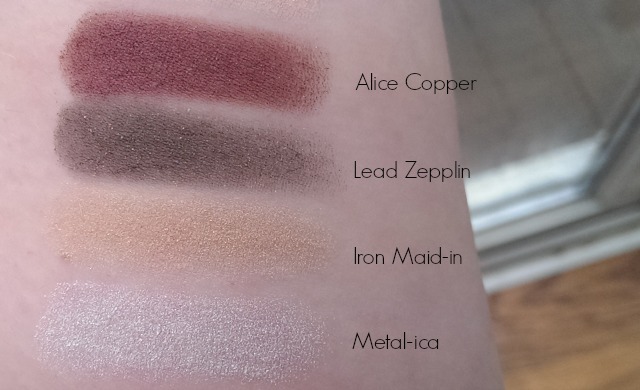 Lead Zepplin and Alice Copper are really beautiful shades and blend really well. 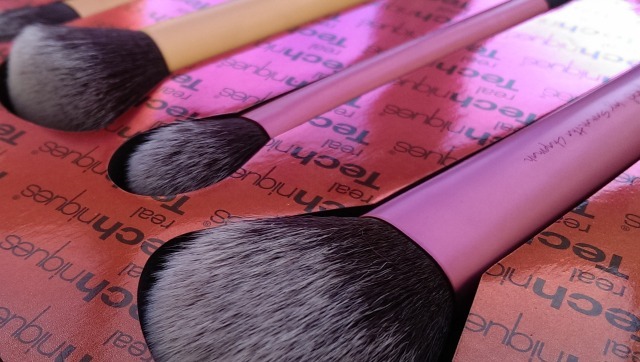 Most of the shades all compliment each other fantastically too, whether matte, satin or shimmery. 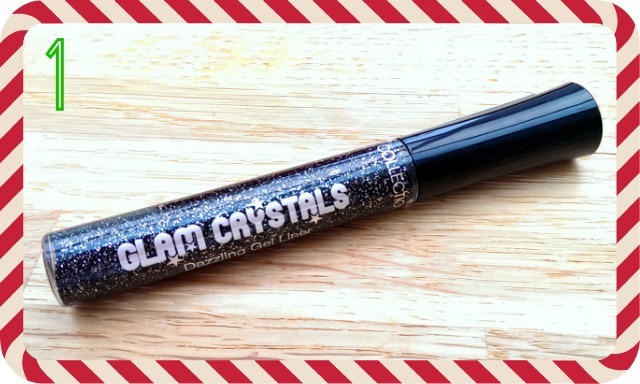 The highlighter is really great too, it's not overly glittery but adds a beautiful glow to your cheekbones. Overall I adore this palette, I've pretty much not used anything else since I received it from Beauty Chamber and I'm close to hitting pan (just on the edge) on the blusher because I've used it and adore it so much! 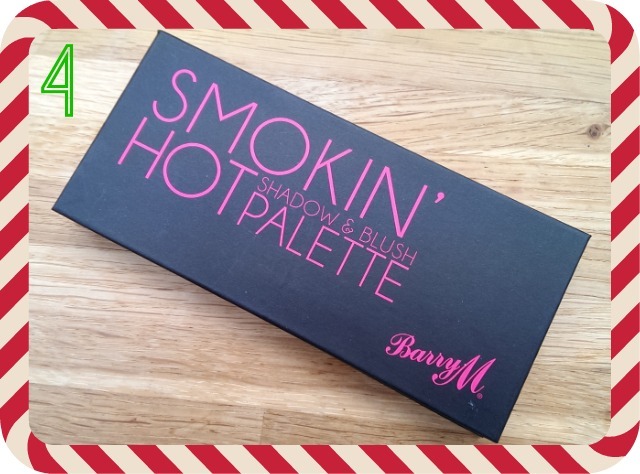 This palette costs £34* and is available from Beauty Chamber, in my opinion it's worth every last penny! 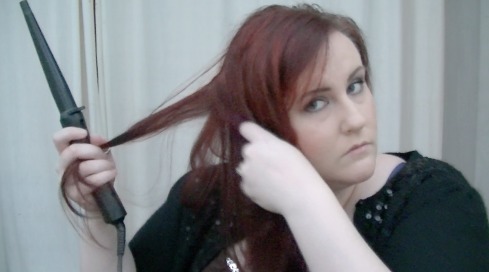 Welcome to my first ever hair tutorial! I'm sorry I haven't been blogging every day this month, I've been busy knitting! I know that sounds like a bad excuse but I'm heading to Ireland for xmas and trying to make as many scarves for Christmas presents as possible, so I've needed to spend lots of time on that. 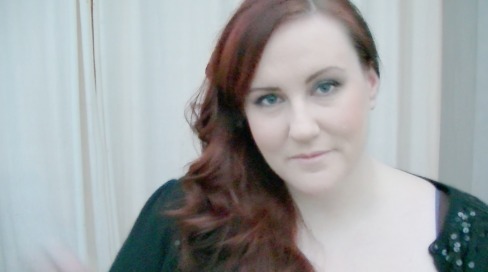 Anyway, on with the tutorial (this was shot as a video, which I'll embed below). 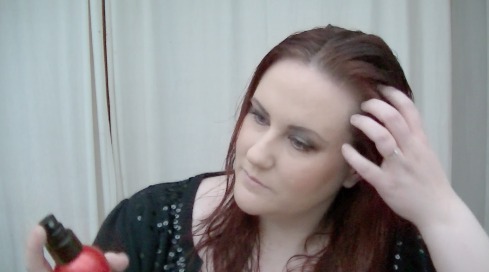 This tutorial is for the side sweep as worn by Abi Alton in the X Factor. 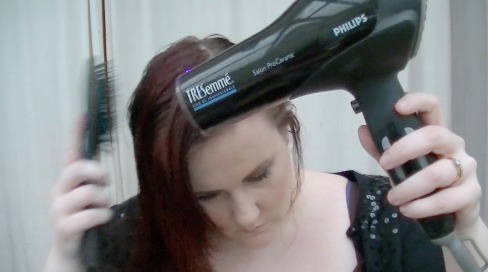 Dust your hair with heat protector spray, I'm using the TRESemme with keratin protector. Sweep your hair to the side and separate your hair into sections to use your curling wand to create beautiful curls. Spray your hair brush with TRESemme lasting hold fixing spray and brush through your hair to loosen the curls and set in place. I had a pretty exciting email land in my mail box today! First Great Western emailed me about a little competition they're running where you guys could win 2 first class tickets to a UK destination of your choice! To enter and be in with a chance of winning, all you need to do is complete the webform on their competition page. I'm not sure if I've mentioned this on here before, but my hubby and I haven't been on a holiday since our honeymoon over 5 years ago. Yeah we've been to visit family (Ireland) but as lovely as that is, it's not a holiday. All our spare money goes on Chris' OU degree so we don't really have any spare cash for a weekend getaway. 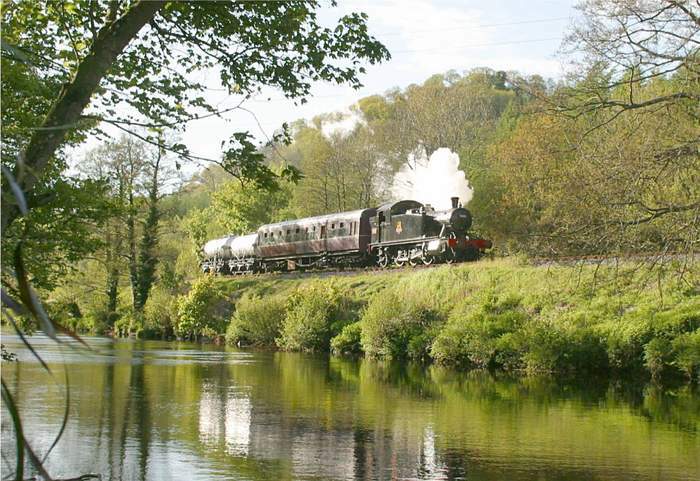 Well, 2014 is where I want to change that, even if it's just for a long weekend :) So with that in mind, here's my dream location for a little UK weekend trip. It's hard to imagine as I've never been, but I bet Devon is great for one off shops too, little quirky places you can't find anywhere else. 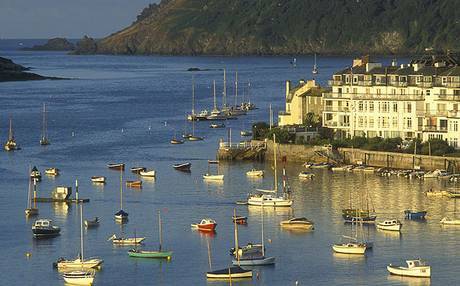 If you live in Devon where would you recommend I go? And, if you won the competition, which UK destination would you pick? 1. Chunky hot pink necklace £17. 2. Ribbon layered hot pink necklace £14.50. 3. 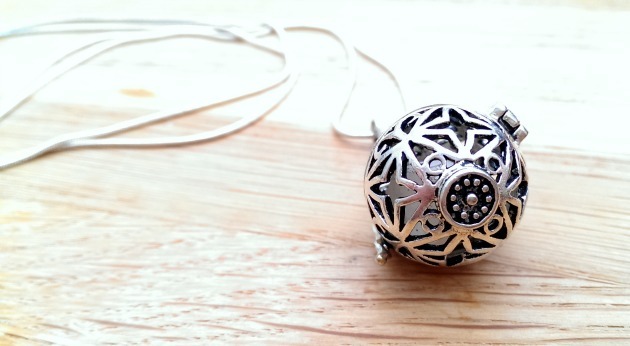 Crystal and resin floral necklace £39.75. 4. Multi-coloured bobble necklace £10. 5. Chain and crystal collar necklace £32. 6. 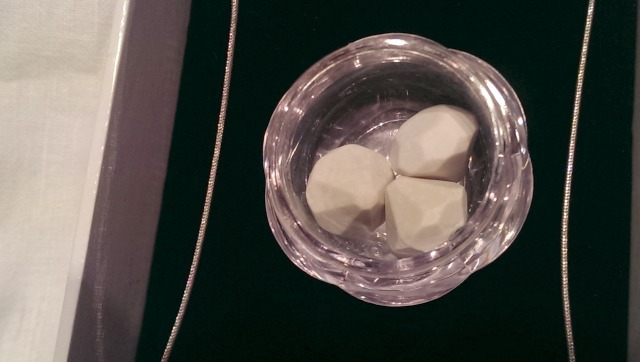 Stunning vintage style crystal necklace £88. 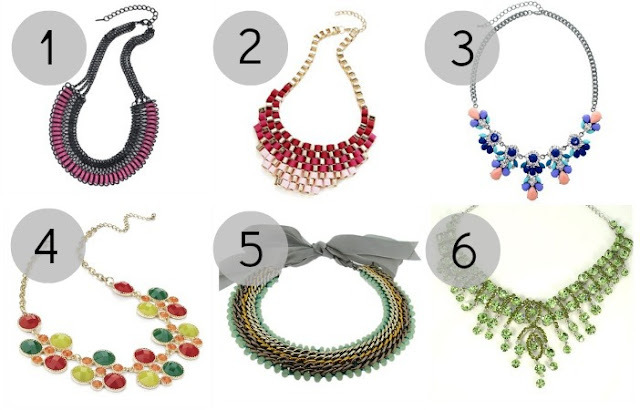 Of all these necklaces, number 6 has to be the most stunning and would look absolutely beautiful with most dresses. 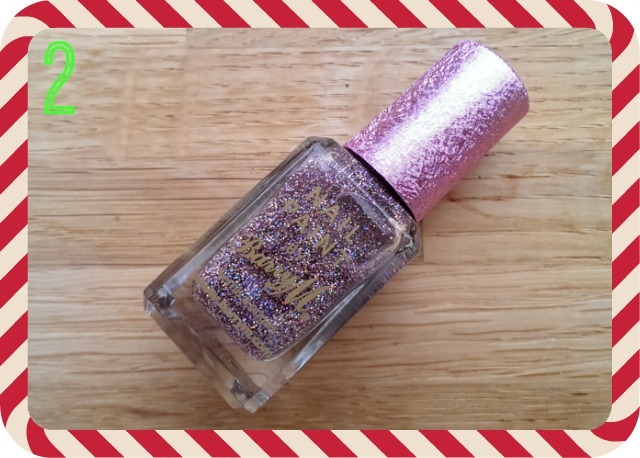 I love the colour, shape and sparkle! Number 2 or 5 would look amazing with a black dress too, just adding the perfect splash of colour to a simple elegant outfit. 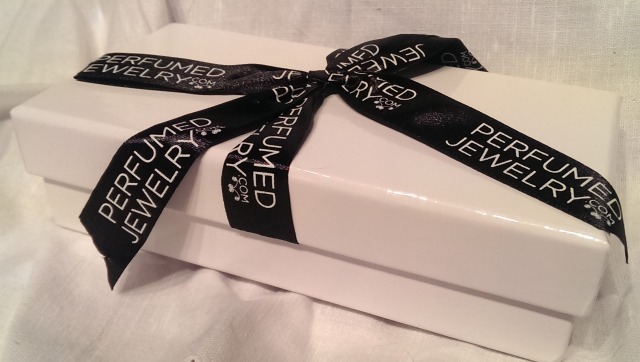 Don't forget, tomorrow we pick our first winner of our 12 days of Christmas giveaway!! So, the stash! (is it just me that here's stash and thinks 'moustache'?). My Dior BB Cream has run out :( Since I'm on a spending ban I'm hitting the stash, so I'm using the Bourjois healthy mix serum and the Smashbox Halo foundation (both totally decent!). 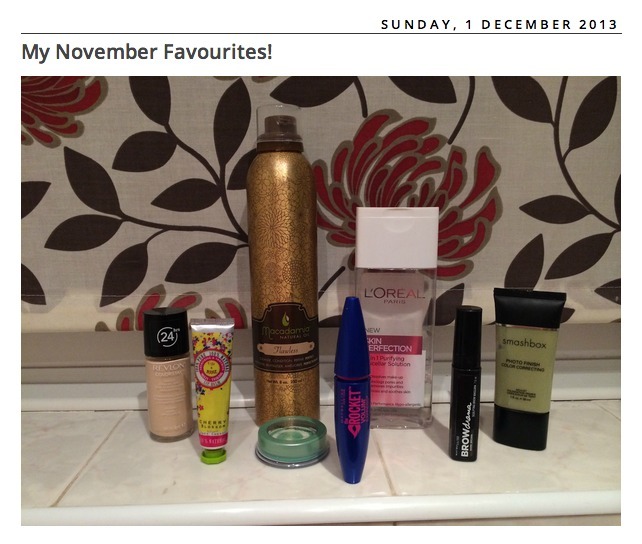 I also bought the Rimmel fix and perfect a few weeks ago and haven't really used it, so I'm trialing that too. I've also picked out and started using my Bobbi Brown colour corrector as I'd stopped using this, so thought I'd give it another shot (I am still totally and utterly in love with my Dior BB eye cream though!). 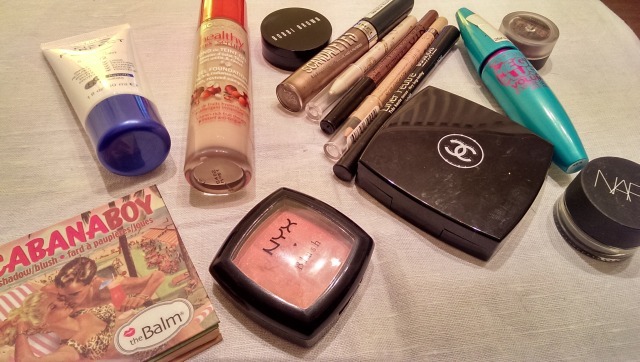 I've picked out some eyeliners too, ones I like and ones I'd like to use more and give a fair trial too - like the Bourjois liquid eyeliner. For mascara, the Maybelline Mega Plush - seriously if you build this up you get some seriously pretty lashes! You know how everyone raves about MAC Cranberry? 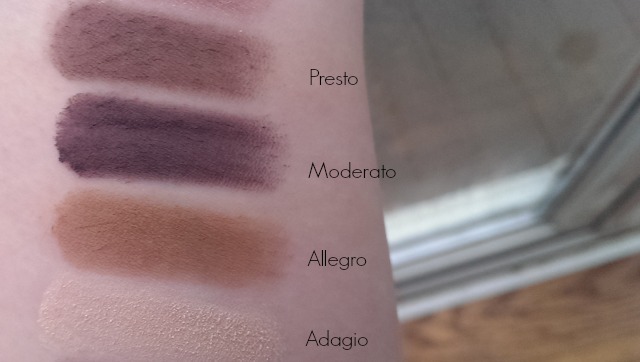 Well, the Inika mineral eyeshadow in autumn plum - a confirmed dupe! We've all heard of Yankee candles and NEOM and if you're in the states, Bath and Bodyworks. Well move over big wigs, there's a new player in town! 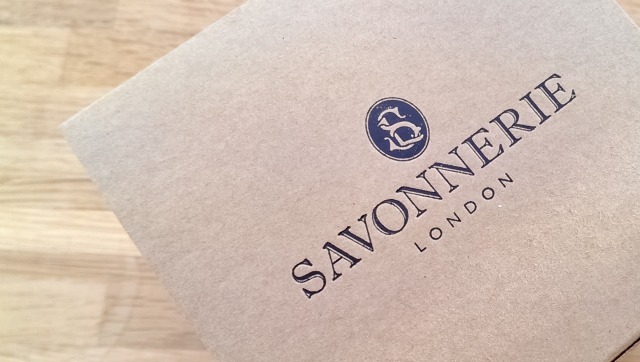 Savonnerie of London make a range of skincare products and candles - they were founded in 1997 and proudly don't have any sulphates, parabens and petrochemicals in their products. Apart from a beautiful range of bathing products, I was really intrigued by their candles. If you've ever been to my house, you'll know I'm a teeny bit obsessed with candles, and tea light holders (esp if they're the ones covered with smashed mirrored glass - I love those!). 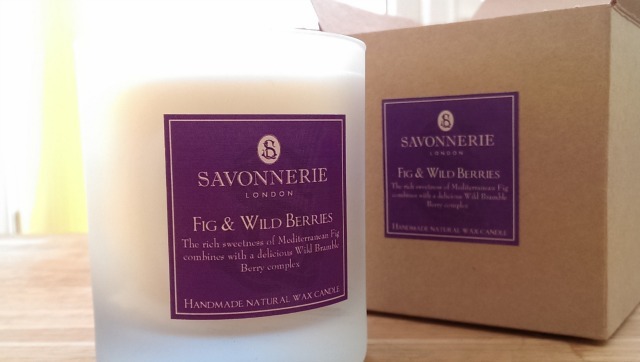 The fig & wild berries one really appealed to me 1. because of the colour and 2. big fan of fig, and wild berries! If that's not your thing there are 7 other scents to whet your appetite, the 'Christmas pudding' one sounding pretty much the most appealing - NOM! The scent isn't too overpowering, but gently scents the room. The burn time is pretty decent too, so far I've been burning mine for about 8-10 hours and I'm about a third of the way through it, so I'll probably get about 25-30 hours out of it which is really good considering it's not a 3 wick candle. 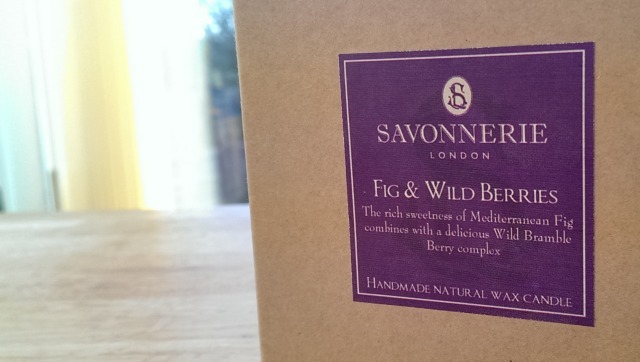 All their ingredients are sustainably sourced and the packaging is just beautiful, very simple and elegant. 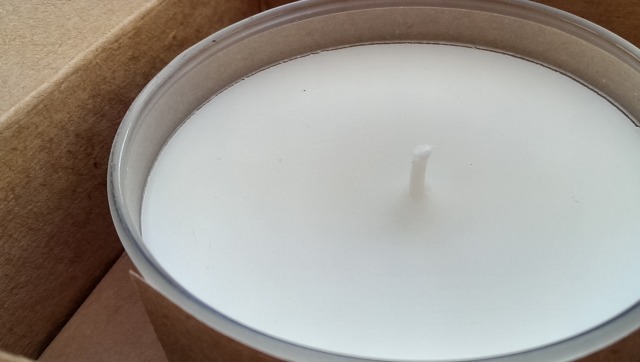 These would make such a lovely present for someone who loves beautiful candles, or as a special treat for yourself. 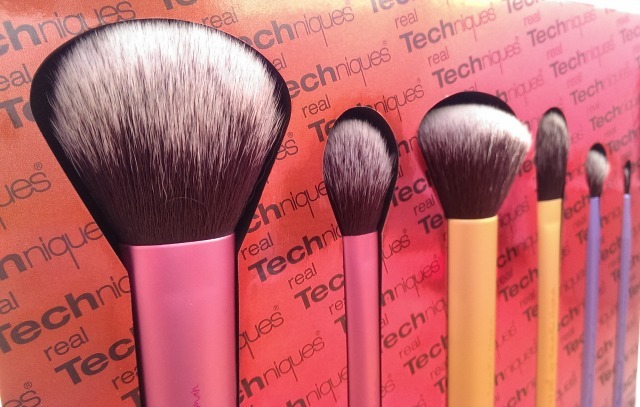 In this set you get: Multi task brush, Blush and bronzer buffing brush, Essential crease brush, Setting brush, Pointed foundation brush and a fine liner brush. I've been a fan of Real Techniques for a long time but haven't managed to get my paws on many brushes, until now. 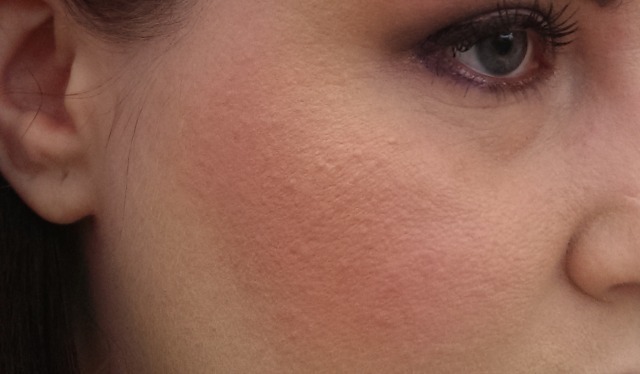 My first venture into the RT world was the stippling brush, after trying it on lots of different products I decided it's best use was on creme blush. 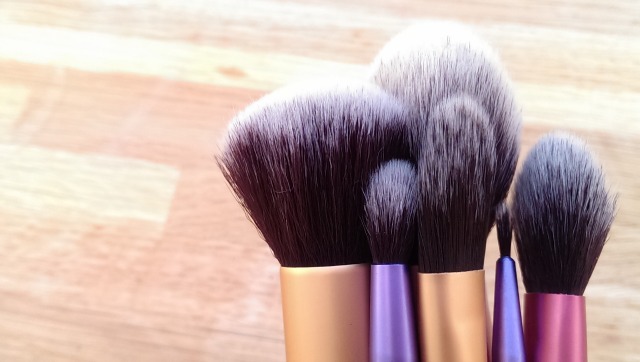 After that success I moved on to the super soft and fluffy blusher brush which I super adore too. So when the lovely people over at Cocktail Cosmetics offered for me to try the Sam's picks collection I jumped at the chance! 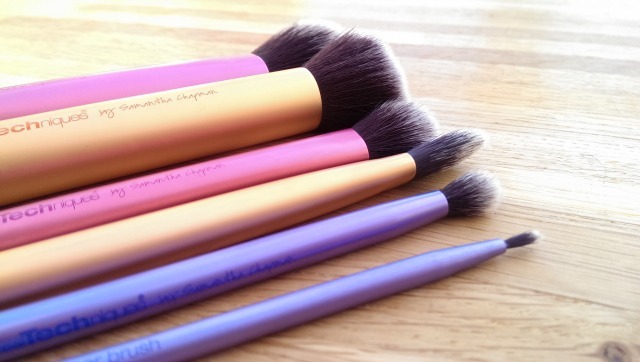 One of the RT brushes I've had my eye on for a while is the multi task brush so when I saw it was in this set, ERMERGHERED I was happy! 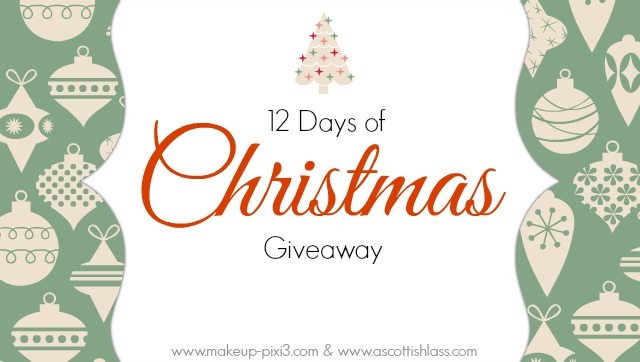 Welcome to Blogmas and mine and A Scottish Lass' 12 days of Christmas giveaway!!!! This seems to be becoming a bit of a tradition now since we did this last year, but like all good traditions, this year the giveaway is bigger and better! 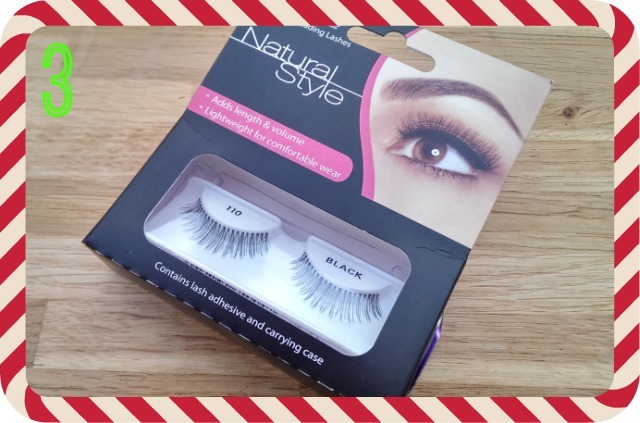 These are a bit different to previous giveaways, this is ONLY open to actual blog readers, what that means, NO COMPERS. If you have no intention on reading our blogs, don't enter. We want this to be a reward for the people who take their time to read and comment on our blogs, or to new readers who will become the same. 1. 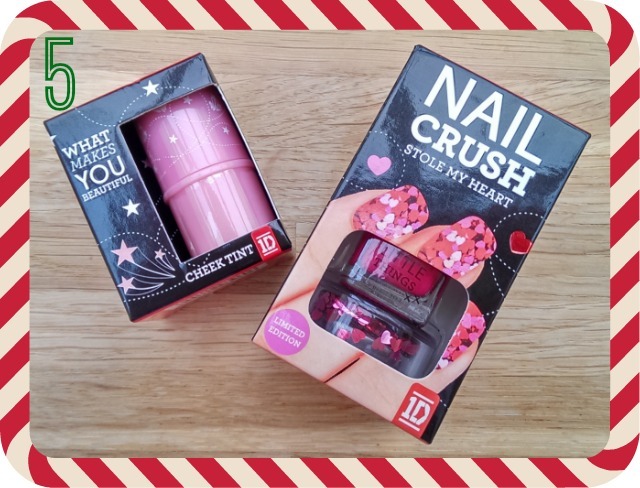 The first winner will be picked on the 12th December on my blog, and the last on the 24th on Laura's blog. 2. A winner will be picked each day, taking turns each day on each blog so 12th will be my blog, 13th will be Laura's blog etc etc. 3. To be in with a chance of winning, complete the Rafflecopter widget below. You MUST be a subscriber (via Bloglovin') of my blog and Laura's blog. 4. All entries will be verified before any winner is announced. Anyway enough of the rules!!! 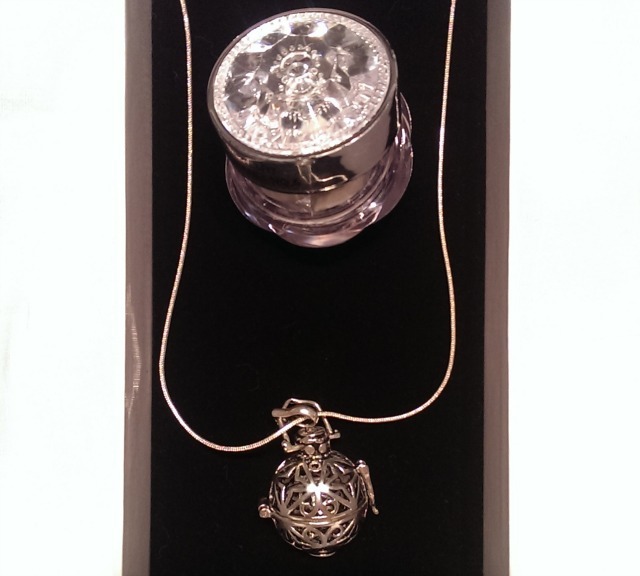 Here's what you could win on my blog (Laura will post her prizes over on her blog). So there's the prizes, how amazing is prize 6!?!?! If you want to be in with a chance of winning these, just complete the rafflecopter options below, good luck everyone!